Esther Landhuis is a freelance science journalist in the San Francisco Bay Area, California. Alokta Chakrabarti manages drug-candidate identification and discovery for client pharmaceutical companies. As a project team leader at the contract research organization (CRO) ProQinase in Freiburg, Germany, she spends her days meeting clients, working at the bench, flying through data analysis — and chasing a lot of deadlines. A few decades ago, drug makers did their own discovery work, along with every other element of getting a drug or medical device to the marketplace. But today, nearly anything that a pharmaceutical, biotechnology or medical-device business needs to do — from designing assays to planning and running clinical trials — can and may be outsourced to CROs. These specialized companies fall into several categories. Preclinical CROs test drug or device candidates for client businesses before the compounds or devices undergo clinical or human testing. This might include helping a client to synthesize compounds, run biochemical assays or conduct animal studies. Clinical CROs focus on clinical-trial services, such as medical writing, data analysis, managing regulatory-affairs processes and other functions associated with getting new drugs or devices to market. A growing number of speciality CROs focus on a particular stage of clinical development, or offer services within a specific therapeutic niche. The CRO industry is benefiting from recent downsizing trends in big pharma, as well as from a related proliferation of smaller drug makers, says Ken Getz, who studies research and development management practices at Tufts University in Boston, Massachusetts. 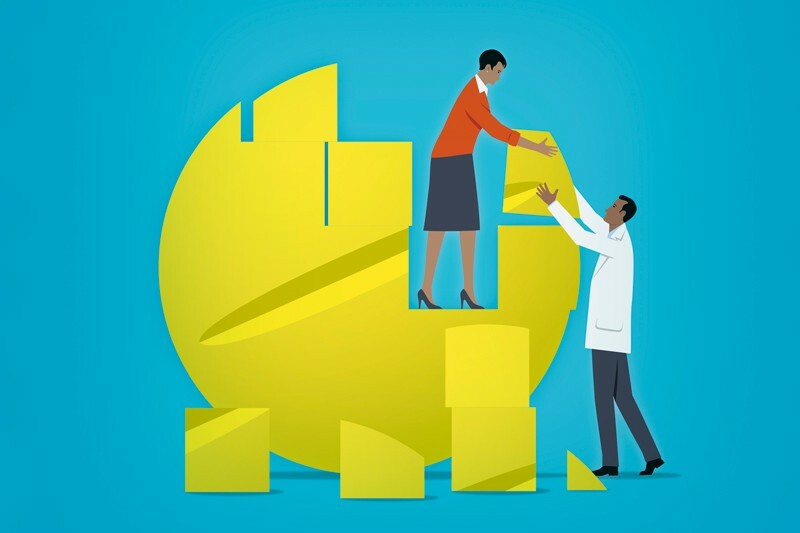 The number of drugs entering clinical trials continues to rise, and companies that are slashing their workforce look to CROs to help them manage their portfolios. The need for outsourcing is even greater for smaller biopharma-ceutical firms with lean headcounts and scant clinical experience, says Getz. The global clinical CRO market topped US$23 billion in sales in 2014, and is predicted to exceed $35 billion in sales by 2020. More than one-third of all global drug-discovery research will be farmed out to CROs by 2021, predicts Kalorama Information, a market-research publisher in Rockville, Maryland, in its 2018 Outsourcing in Drug Discovery report. About 15 years ago, the top 5 CROs worldwide collectively employed around 30,000 people. Now, that group has nearly 100,000 employees, and a single CRO can have thousands of clinical trials in progress at any given time, estimates Schultz. According to the Association of Clinical Research Organizations (ACRO) in Washington DC, whose members run trials in 142 countries, more than half of CRO jobs are in the United States and Europe. India has 8% and the United Kingdom 7%, finds ACRO’s 2015 member survey. Researchers who have solid project-management and communication skills will be competitive for jobs at CROs — and could be even more strongly positioned if they have experience working with large data sets, say industry experts. Many academic labs don’t emphasize these kinds of project-management skills. “Particularly in PhD programmes, there’s this culture saying you should learn how to do everything yourself,” says Elizabeth Iorns, chief executive of Science Exchange in Palo Alto, California, a network of CROs, core labs and other scientific-service providers that runs experiments for a fee. But in industry, she says, you need to highlight and burnish specific skills and talents. “It’s impossible to be trained in every technique,” says Iorns. So after graduating, in 2008, Wenzel started as a customer-service representative at a contract manufacturing organization that specialized in protein research, and moved on to other CRO sales and business positions. Patel, too, pivoted to business development at her second CRO once her superiors saw that she could talk to people easily. She now works remotely from San Diego at Science Exchange, as a director of supplier relations. Historically, CROs created positions that mirrored the services needed by the pharmaceutical sector. If a drug maker needed people to write journal manuscripts, for example, the CRO would supply medical writers — or project managers, or clinical-trial managers, or whatever a potential or existing client company might have required. Now, however, large CROs are aiming to get ahead of the curve by providing data-management and data-analysis services, Getz says. Indeed, the landscape looks good for those who are skilled in these areas. CROs and bio-pharma plan to hire 25% more internal staff worldwide between now and 2020 for collecting, storing and making sense of the boatloads of data lurking in electronic health records (EHRs), social media and digital devices, according to a 2017 survey conducted by Tufts University’s Center for the Study of Drug Development, where Getz is based. Access to more-nuanced patient data is also enabling clinical-trial designs of greater complexity. 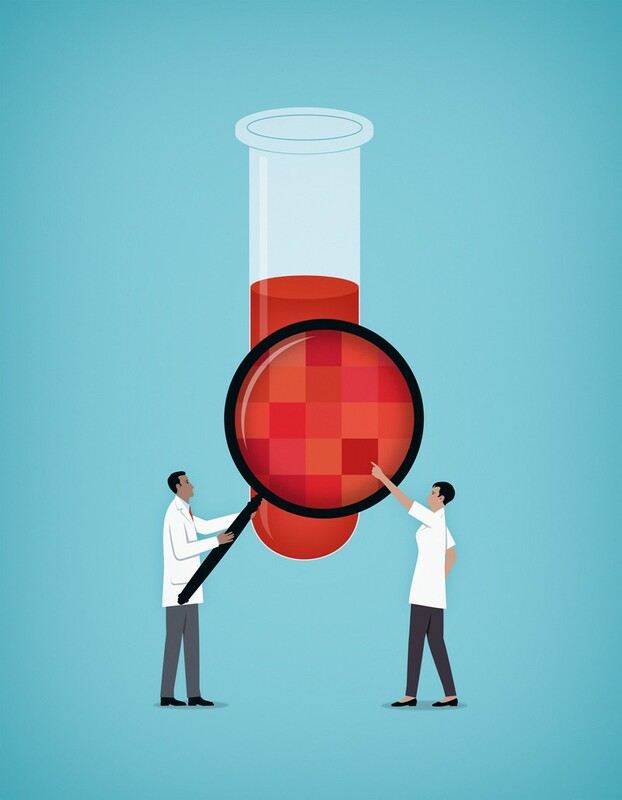 As trial sponsors shift towards schemes that require different statistical and data-capture methods, researchers with those skills will be attractive to CROs, predicts Michael Winlo, chief executive of Linear Clinical Research, a mid-sized CRO in Nedlands, Western Australia, that specializes in early-stage clinical trials. Last year, Paraxel bought Anolinx, a small, speciality CRO in Salt Lake City, Utah. Normally, Schultz adds, the target CRO would have been too small to acquire, but its data scientists had exactly the skills that Parexel sought. Another example of innovation in trial outsourcing is Science 37, a company in Los Angeles, California, that functions as both a research ‘site’ and CRO, says co-founder Belinda Tan. The company conducts virtual clinical trials through a telemedicine platform that allows researchers to easily find participants, who are able to avoid a trip to the clinic and get instructions from study staff through video calls at home. The platform serves as a data repository for all Science 37’s trials, and staff members have access to some, depending on their role. Tan says that, for her as a physician, the repository acts like a clinical-trial EHR for participants. Trial participants use mobile apps on smartphones provided by Science 37 to get their daily task list — for example, to complete a questionnaire or wait for a nurse to visit. To make these virtual trials work, Science 37 seeks not only conventional CRO candidates who have experience with clinical data, but also marketing and media specialists, web engineers, product designers, graphic designers and others. Salaries for CRO employees vary widely depending on the level of education and job responsibilities. Clinical-research associates, who typically do not have PhDs, earn $50,000–65,000 on average in the United States, and clinical-research managers and clinical-research directors, who might have a doctorate, can earn more than $100,000. Because they work with multiple clients, CROs tend to offer job stability — if one project fails or ends suddenly, the company can shift flexibly to another project with a different sponsor. And because the work is fast-paced and varied, employees can often broaden their skill sets and climb the career ladder more quickly than they would working at a pharmaceutical company. Chakrabarti concedes that she misses one element of academic research. “You can follow a drug there from birth to clinic,” she says. Conversely, CRO scientists often work with many different drug candidates at varying stages of development. “You have confidentiality agreements with these client companies, so you don’t know anything about the compound. You do the assay but you don’t know what happens later,” she says. “Even when a molecule leaves a powerful impression — like, ‘this is the strongest inhibitor I’ve ever seen’ — your interest in a particular project has to stop with a particular deadline. This is what I find sad.”At least once so far, however, a chance run-in has brought the process full circle for her. At a cancer-therapeutics conference in Philadelphia, Pennsylvania, last October, Chakrabarti saw one of her clients presenting data about a familiar compound. She asked him if it was one that she had screened. Indeed, it was, he said, and the compound was heading into clinical trials.